Two Federal ministers made Friday announcements relating to Canadian space activities. 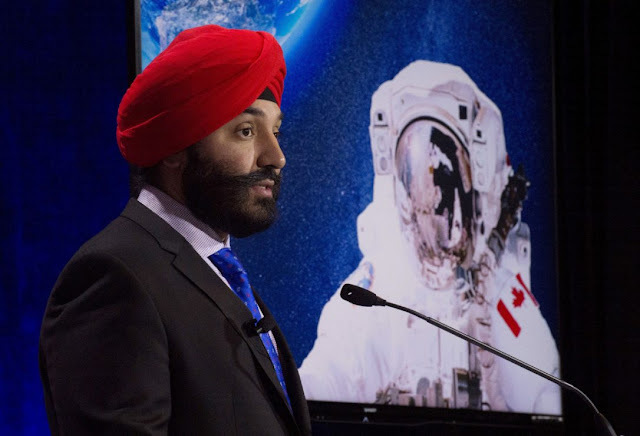 The first announcement, made early in the day by Innovation Minister Navdeep Bains, was a welcome call by the Canadian Space Agency (CSA) for two new astronauts. Innovation minister Bains announcing an open call for two new astronauts at the Canadian Aviation and Space Museum on Friday, June 17th. As outlined in the June 17th, 2016 Canadian Press article, "Canadian Space Agency seeks polite astronauts to join space program," applications for two new astronaut openings are being accepted until Aug. 15th, and "the more stereotypically Canadian the astronaut-hopefuls are, the better." For a more formal perspective on the application process, check out the CSA web page on astronaut recruitment. Photo c/o Adrian Wyld / Canadian Press. 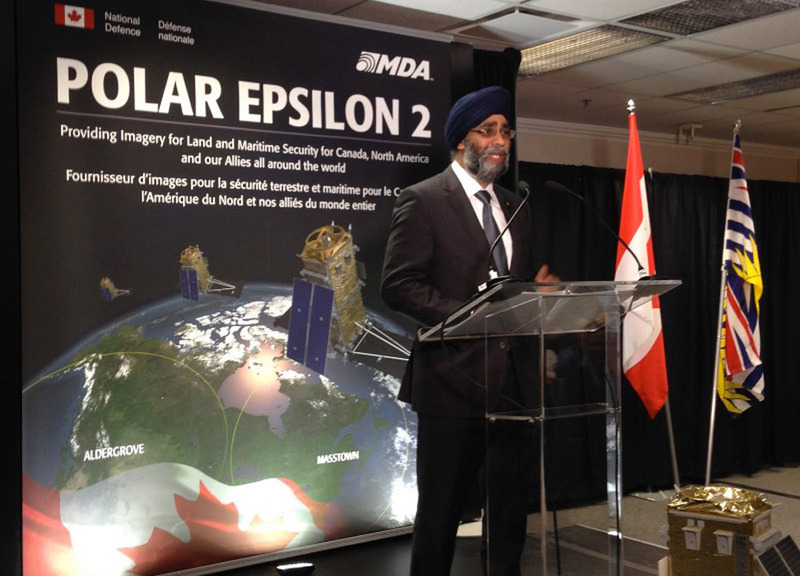 But the second announcement, made near the end of the day by Defence Minister Harjit Sajjan, was for $48.5Mln CDN to fund a simple upgrade of the the Canadian Armed Forces (CAF) Polar Epsilon program, to allow for the use of data derived from the upcoming RADARSAT Constellation Mission (RCM), and seemed a little on the pricey side. Especially given that the last RCM contract, signed in 2012 was supposed to be a "fixed price contract," which covered final construction, launch costs and operational costs for the first year. The Polar Epsilon program currently utilizes RADARSAT-2 data to provide enhanced all-weather day and night surveillance capabilities. The new contract, as outlined in the June 17th, 2016 Macdonald Dettwiler (MDA) press release, "MDA to deliver a broad-area maritime surveillance system using the RADARSAT Constellation Mission," would add "ground segment systems with the capability to receive and exploit information from the RADARSAT Constellation Mission (RCM) Synthetic Aperture Radar (SAR) satellites, currently being built by MDA for the Canadian Space Agency." As outlined in the Department of National Defence (DND) website on Polar Epsilon, the original program already included the construction of ground stations at Masstown, Nova Scotia and Aldergrove, British Columbia. According to the June 17th, 2016 Spaceref.ca post, "National Defence Awards MDA Polar Epsilon 2 Contract," the latest award included "ground receiving stations on the east and west coasts which will be designed to use data from the RADARSAT Constellation Mission satellites to detect ships. The contract also includes an option to implement infrastructure to manage data, which if exercised, could increase the total contract value to approximately $63.1 million." Defence minister Sajjan at MDA HQ in BC on June 17th, to announce the latest MDA contract. Photo c/o MDA. Absent further clarification relating to the physical construction requirements related to this contract, the possibility exists that MDA has been provided with a great deal of money for creating a simple data "app," the sort of thing that contestants in the NASA Space Apps Challenge creates by the dozens, over a weekend each April, for free. 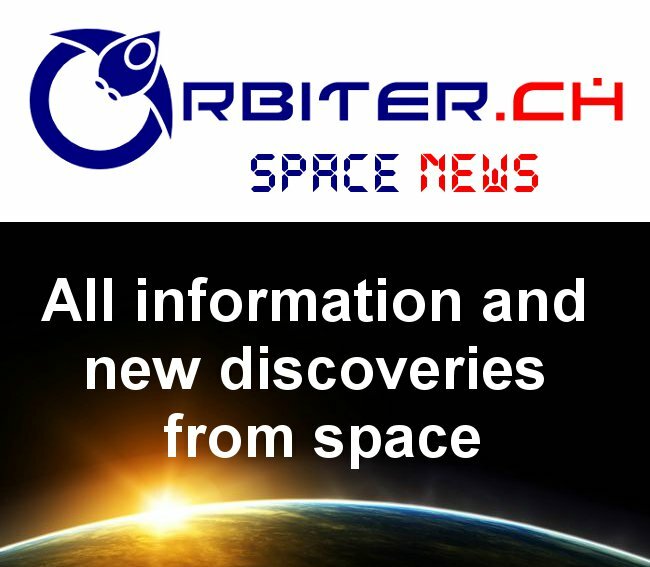 And, as outlined in the January 12th, 2013 post "A $706Mln Fixed Price Contract and Hard Launch Date for RADARSAT Constellation," the last contract for RCM was pitched as being a "fixed price which covers the completion of "phase D" or final construction, plus launch costs, operational costs for the first year" plus a contractual requirement to "launch the (three) satellites in 2018." This latest RCM/ Polar Epsilon contract seems to not have been included in the 2013 fixed pricing agreement. It would be a shame if it turns out to be only the first of many new requirements relating to RCM which weren't covered in the original contract. For more information on the NASA Space Apps Challenge, it's worth checking out the April 26th, 2016 post on "A Weekend at the 2016 NASA Space Apps Challenge." I’ve attached the backgrounder on PE2. Did you try to reach anyone at MDA or DND to discuss what PE2 (Polar Epsilon 2) is before writing your blog? You must be aware that the RCM Phase D fixed price contract is something entirely different than the ground receiving stations for what is a brand new satellite constellation. I think you need to update your story with information from the attached backgrounder. For the record, we did call into MDA last week after the Friday afternoon announcement was made and also reached out to several ex-MDA employees, but were unable to find anyone who would go on record as saying that the Polar Epsilon upgrades were not included as part of the 2012 fixed price contract covering RCM. But now that we've connected with the appropriate person, we've also requested some background into why the Polar Epsilon upgrades weren't included in the 2012 "fixed price" contract. After all, Polar Epsilon could certainly be considered as a requirement for the ongoing operation of RCM in the first year. The MDA backgrounder on Polar Epsilon 2 has been posted online here, for those who'd like to learn more. The RCM contract is for the satellites and the ground system to operate those satellites. The RCM ground system is located at CSA in St. Hubert, and in Gatineau, and uses the existing Radarsat 2 equipment. Polar Epsilon is DNDs ground system, which is separately funded. In essence, according to Mr. Shelly, the new funding covers the Canadian military requirements for RCM utilization, which are funded separately and not covered as part of the 2012 "fixed price" RCM agreement. UPDATE 2: For more information on this topic, including some interesting comments from the PE2 project manager, check out the July 4th, 2016 post, "That 2013 "Fixed Pricing" Contract for RCM Might Not be Entirely Fixed." It's certainly not clear where those ground stations will be located (the area covered by the Canadian "East and West coasts" are quite large). It's also not clear why the existing ground stations at at Masstown, Nova Scotia and Aldergrove, British Columbia are insufficient for the purpose. And finally, it's not clear why this specific project wasn't covered in the 2012 "fixed price" deal signed by the government of Canada and MDA. Perhaps you can illuminate these confusing items? The Radarsat Constellation Mission (RCM) has a number of users, including DND, Environment Canada, etc. The RCM contract is for the satellites and the ground system to operate those satellites. The RCM ground system is located at CSA in St. Hubert, and in Gatineau, and uses the existing Radarsat 2 equipment. Polar Epsilon is DNDs ground system, which is separately funded. Thanks for the clarification. I'll update the post accordingly.